Welcome to DougMillerPro.com. 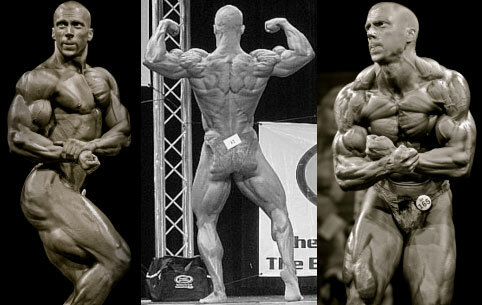 I am an IFPA drug-free professional bodybuilder and former IFPA Yorton Cup World Champ. The better half of "Team Miller," my wife Stephanie Miller, is an IFPA drug-free figure competitor, personal trainer, and also former IFPA Yorton Cup World Champion. I am happy that you have decided to visit my site, and I hope that you find it informative. If you would like to learn more about our services, please visit the “services” link above. If you have any questions for me, please visit the “forum” or “contact” links above. You can also find me on Facebook. We have been away from the stage the last four years focusing on helping others and expanding our businesses. Team Miller, an online nutrition, training, and competition prep team, has expanded not only in the United States, but all over the world. Additionally, in October 2010, we opened Arlington Nutrition Corner in the heart of Arlington, VA, and we are looking to open a new location in Newport News, VA in the fall of 2013. These stores offer a huge selection of vitamins, herbal products, weight-loss supplements, protein powders, sport nutrition, etc., and offer everyday wholesale pricing. Core Nutritionals also continues to expand both nationally and internationally. We also have recently added a number of great new representatives and sponsored athletes to the Core Nutritionals team. Additionally, a few years ago I co-authored a book, Biology for Bodybuilders, to help distill the science of muscle building for everyday people to understand. Finally, and most importantly, we are excited to welcome a new member into Team Miller. We are expecting our first born in February 2014. We look forward to becoming parents! As always, we continue to “CRUSH IT” in the gym, as “THERE IS NO OFFSEASON”. Happy Training!